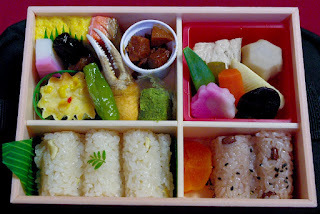 They are called “bento” (弁当) and they can contain any kind of food, preferably ones that keep well cold. They can be bought (like this one) or prepared at home. And they are used by almost everybody, almost daily.